tuneSplit is a research-driven startup with the ambition to revolutionize music consumption and creation using advanced Audio separation technologies.The company was part of the USC Viterbi Startup Garage incubation program in 2015. Founded in 2013, Yobi3D is a 3D search engine service that helps you quickly find 3D models on the internet. Yobi3D also provides a 3D preview interface for you to see the models right on your WebGL enabled browsers. 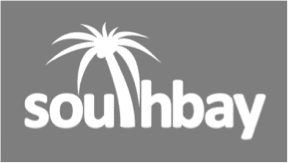 Founded in 2011, Southbay is a research and engineering studio specializes in advanced signal processing, high performance computing, and advanced control systems. TWR Entertainment, Inc. is a globally-focused, Asia-based media organization that successfully blends world class creativity and groundbreaking technology innovation. Founded in 2011, Push media specializes in advanced display and multimedia technologies. Push media offers a wide range of solutions for new advertising and marketing applications. Push media designs and develops innovative media installations and environment. Robin Labs begin with a holistic model of language semantics, a unified methodology with reusable building blocks can be applied to any vertical, and dramatically speeds up the creation of individual-yet-interconnected assistants. Founded in 2006, Quantum Dimension is a young high-tech engineering firm developing beyond next generation innovative wireless communication and networking solutions for commercial and government applications. Founded in 1998, Escapecommunications provides contract development of advanced wireless signal processing platforms. Escape’s customers include system integrators and subsystem providers to the space and defense industry.